I’m very happy to announce the times and dates for the landscape painting workshop I’ll be running next month on the beautiful Isle of Lindisfarne! (all details below). *Please take note of safe times listed below to cross to the island on Sat 13th and Sun 14th! This one‐day outdoor drawing and painting class is open to people at all levels of experience. After an introductory talk and demonstration on drawing and painting tips and techniques, Rose will continue to offer individual feedback and guidance throughout the day to each participant. 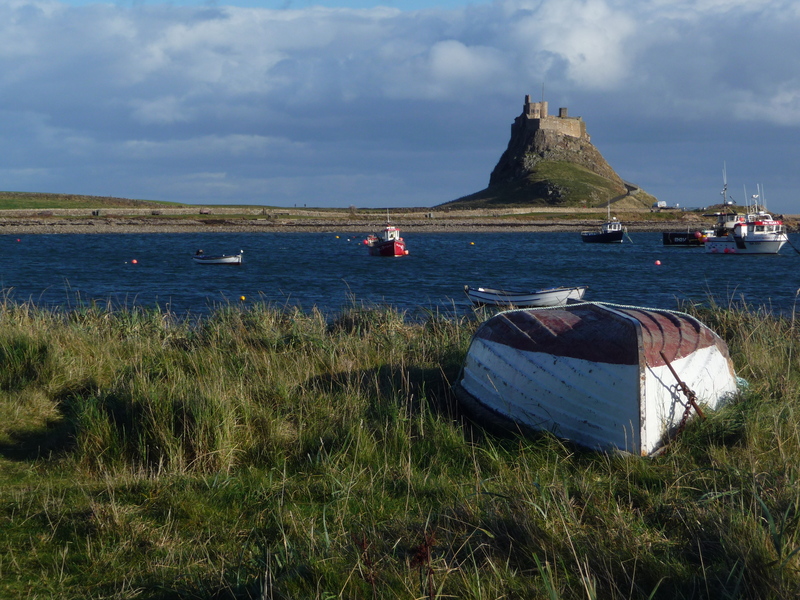 Don’t worry if you have no prior experience, this is an informal, encouraging workshop – and a great way to enjoy the beautiful scenery of Lindisfarne! The workshop location is ‘The Heugh’ the small hill at the south end of the island with excellent views in all directions. The Lookout Tower on the Heugh will offer shelter from rain if necessary. Sketchbooks, pencils, brushes, acrylic paints and stretched canvas will be provided. Participants may bring their own drawing or painting materials if they prefer (However, oil paints are not recommended for beginners since they require experience and take a long time to dry). Please wear warm, rain proof clothes and comfortable shoes or trainers. Please note that the track up the Heugh may be muddy and is uneven. There are public benches at this location and we will also provide a few folding chairs. 10:30 am on Sunday 14th August. The painting venue is a walk of approximately 15 minutes from the car park. (You will have to pay the full day car park fee which is £4.40. Unfortunately this cannot be reimbursed). Lastly, here are some of my paintings of Lindisfarne from 2014/15.. This entry was posted in Uncategorized and tagged lindisfarne art, Lindisfarne painting workshop, painting class lindisfarne, painting lindisfarne on July 13, 2016 by rosestrang.